Description: The Easter Bunny has been up to his old tricks again! He’s left clues at Crathes Castle, Garden & Estate. Let your kids follow the clues, solve the puzzle and claim a chocolatey reward! Once you have completed the egg hunt you can hop to your hearts content with a selection of inflatables provided by Team Challenge Company. Description: Easter has returned to Leith Hall! Description: Join us for an exciting day of discover as we delve into the prehistoric and look at fossils, dinosaurs, and palaeontology! This is a drop-in event from 10am-5pm. Make your own fossil workshop, come make your own fossils with us and take home a piece of the past! Trail sheets only £2 per child. Castle, Tearoom, and Shop open as normal. Collect your hunt map, follow the clues, solve the puzzle and claim your chocolatey reward! Each hunt is completely different – the perfect excuse to hop along to more than one! To have the most fun, we recommend you visit our Cadbury Egg Hunt on Friday, Saturday or Monday – there’ are 2 Easter events taking place on the Sunday, so it’ll be eggstra busy! £3 per hunt (Usual entry prices apply if you’d like to visit the house). After the successful trial last year, all vehicle entry to Haddo on Easter Sunday (Sunday only, does not apply to Friday, Saturday or Monday) will be by pre-booked parking pass only. Passes will be available at visithaddo.com from 11am on Saturday 11th March, a second batch will be available from 11am on Saturday 18th March. You can also purchase passes from the Visitor Centre between midday and 4pm on Saturday 11th and Saturday 18th March. Passes will cost £5 per car. This charge only applies to vehicles entering the main gates, pedestrians/cyclists can enter for free and do not need a pass. 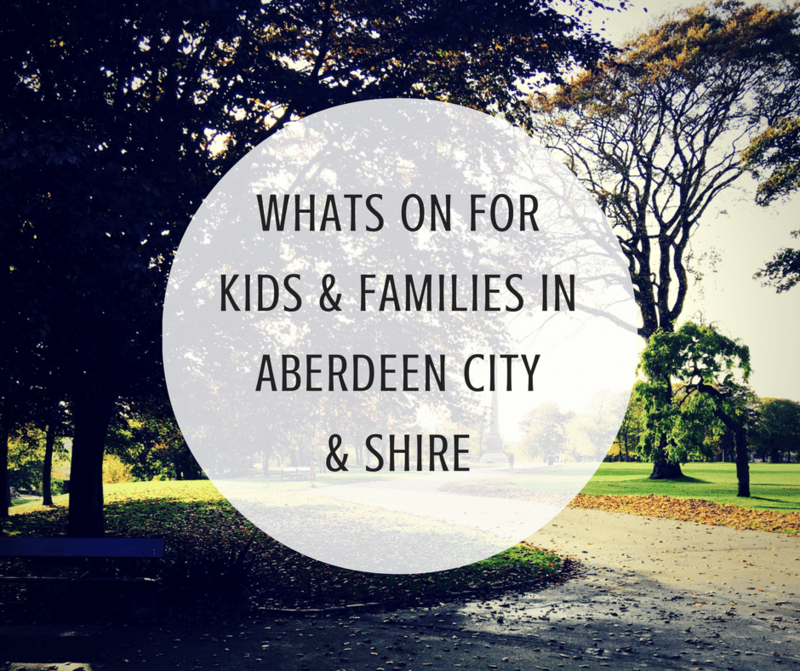 Description: Aberdeen Play Forum is hosting a play session at Seaton Play park! No need to book or pay, just come along and play! Children must be accompanied by a parent or carer at sessions, and Aberdeen Play Forum are not responsible for participants. Sessions are run as ‘drop-ins’ and operate as per ‘Street Play’ programmes: they are free of charge and not compulsory; participants who feel the session is unsuitable for them are free to leave at any time or will not attend; participants use their own discretion; participants are responsible for their own health, safety and general well-being; Staff, Aberdeen Play Forum and Aberlour Childcare Trust are not responsible for participants. All of our Play Rangers are trained in first aid. Each Play Ranger Carries with them a rucksack which contains: First Aid Kit, Poo Bags, Wipes, Bin bags and a copy of our Policies&Procedures/Risk Benefit Assessments. Description: Spring is here! Join a Countryside Ranger on this circular walk around the Donmouth Local Nature Reserve. A low tide means we should get views of a variety of wading birds, and if we are lucky perhaps seals and even otters! Meet at the bird hide on the Esplanade. First Bus numbers 1 & 2 will take you to the Bridge of Don. Suitable for children aged 10 and up. Under 16’s must be accompanied by a responsible adult. Please call the Countryside Rangers on 01224 326429 or email countrysideranger@aberdeencity.gov.uk to book your place. Description: Enjoy a delicious cream tea with scones, cream, jam, shortbread, tray cakes and Victoria sponge cake. All tickets include the train ride, the cream tea and unlimited tea and coffee. Description: Easter Egg Specials will be running all weekend, bring the family along for a ride, all travelling children receive a free Easter egg. Description: Come and enjoy a great family day out with lots of activities for the kids! Including treasure hunts, facepainting, races &amp; a visit from our beloved mascot “Milton” the squirrel. With free parking, you’d be mad to miss it! Shop, Tearoom and Tea Tent will be open. Each Trail Sheet is £2 and you get a Cadbury treat at the end. Car parking is £2 per car. Love Rara’s Super egg-citing Easter disco is a fun event for all ages with games, dancing, Face painting, Glitter tattoos and entertainment all included in ticket price it really is a fun day out for all the family. Tickets are £5 per person both children and adults need to purchase a ticket due to room size capacity. Please contact loveraraltd@yahoo.com to book your tickets now! 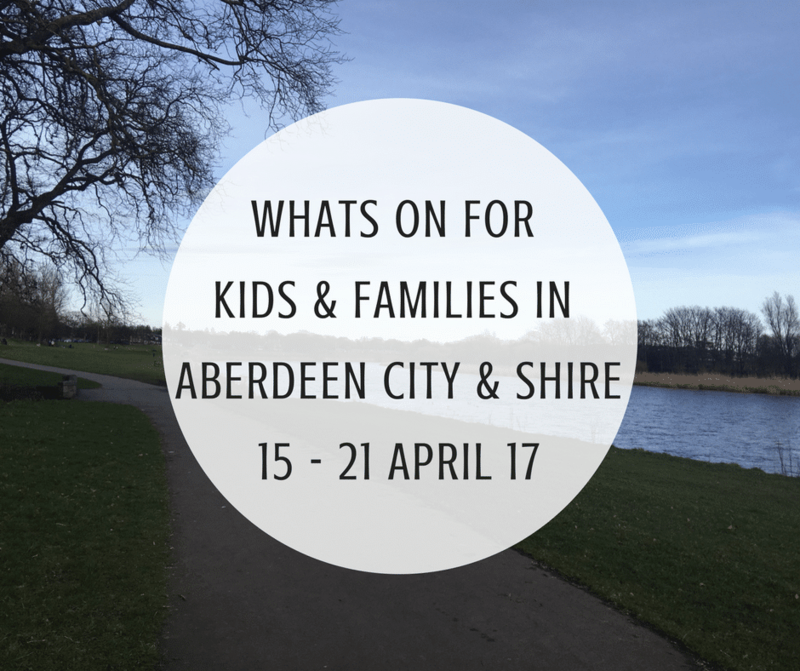 Don’t forget we have an events calendar with the latest events for kids and families in Aberdeen City & Shire! Description: Ducks Race – come cheer along your duck – £1 per duck. Description: Come along on Easter Sunday and join in the fun at the Whitehorse. We will have an array of activities to keep the little ones entertained. Description: Join us this Easter Sunday at Easter Anguston Farm for an Easter Egg Hunt. Visit our animals including our new baby lambs & piglets & a visit from Speyside Owls, or enjoy a coffee & a hombake in our cafe. Description: Chalk Don’t Chalk is a participatory Public Art project where children of all ages will be given the “freedom of the city” to create their own chalk street art pieces, with professional artists on hand to teach and guide children on their designs. Chalk Don’t Chalk encourages the re-imagining and re-purposing of public space in a dynamic, participatory and creative manner. Drawing inspiration from the likes of Picasso to Banksy, Brancussi to Sir Ken Robinson, we hope that children and families will embrace the project wholeheartedly and join in with this celebration of street art in one of it’s purest forms.